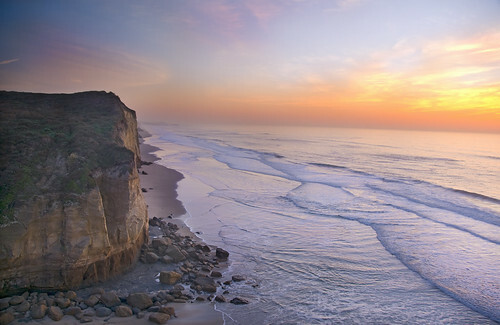 Beyond the Wave, photo by Harold Davis. View this image larger. In the complex and jumbled country beyond the Wave, canyons blend into canyons and rock formations twist around each other. No doubt, it would be easy to get lost in the desert. 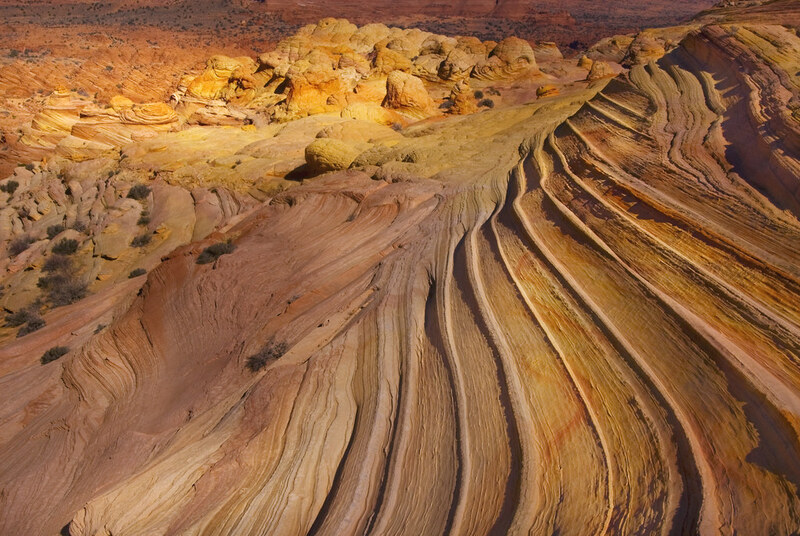 I photographed this view in strong but shadowed lighting, using a small aperture for maximum depth of field, to keep the stripes in the foreground and the rock formations in the background both in focus. 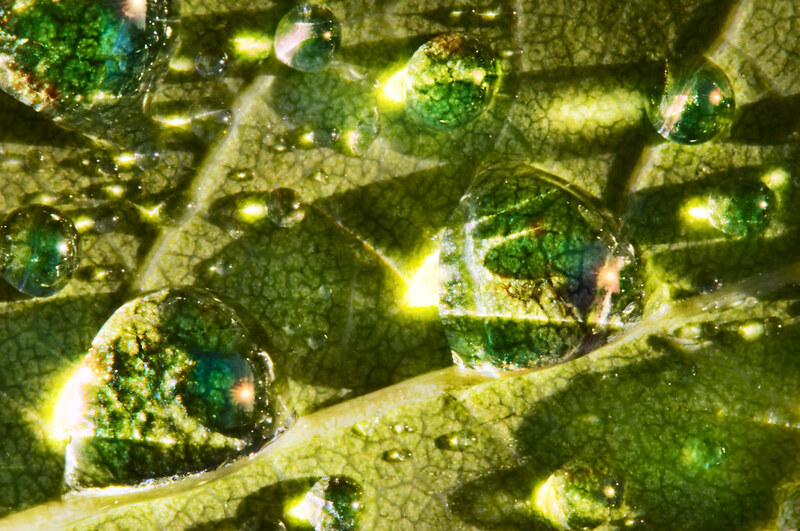 Waterdrops in the Sun, photo by Harold Davis. View this image larger. In the beautiful morning sun of a crisp new morning after all the rain, I photographed these water drops on a leaf using nested extension tubes. Related images: Earth in a Drop of Rain; Wet Leaf. 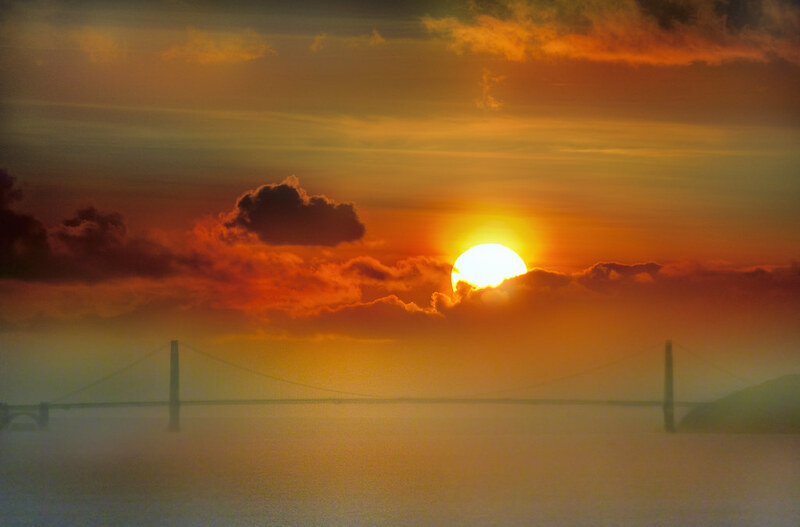 Winter Sunset, photo by Harold Davis. View this image larger. Yesterday was a beautiful and sunny interlude in the Bay area’s morass of soggy weather. Towards sunset, I grabbed Julian and we headed for Indian Rock. Julian climbed up, over, around, and through the rocks while I set up my tripod and long lens. The sun was a giant round ball, and I had hopes of duplicating the series of photos that ended up as the cover for 100 Views of the Golden Gate. It’s amazing how wrong camera light meters get the exposure for the sun. You almost can’t underexpose enough to get an appropriately exposed sun when it’s large in the photo. Using the kind of average exposure setting the camera gives you is likely to lead to an unattractive and dripping soft boiled egg yolk effect. I wouldn’t have minded taking another, even darker, exposure. But I didn’t get the chance. The sun sank behind the cloud bank without ever appearing right behind the bridge as in my earlier series, the clouds covered the sky, and we had rain again today. Worth noting: the not unattractive noise in the lower left of the image results from lightening up the extremely dark RAW exposure. 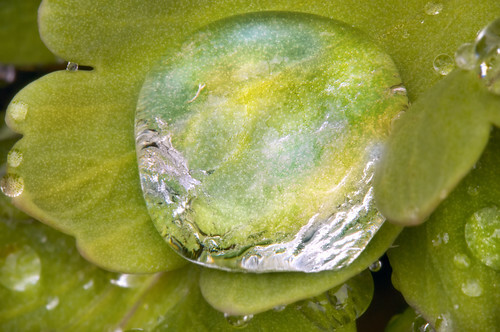 Earth in a Drop of Rain, photo by Harold Davis. View this image larger. In a break in the recent wet weather, I went outside into our garden to photograph rain drops. Looking down on this large drop, nestled in the cup of a petal, I was reminded of an entire green world with blue oceans, continents, and cloud cover. 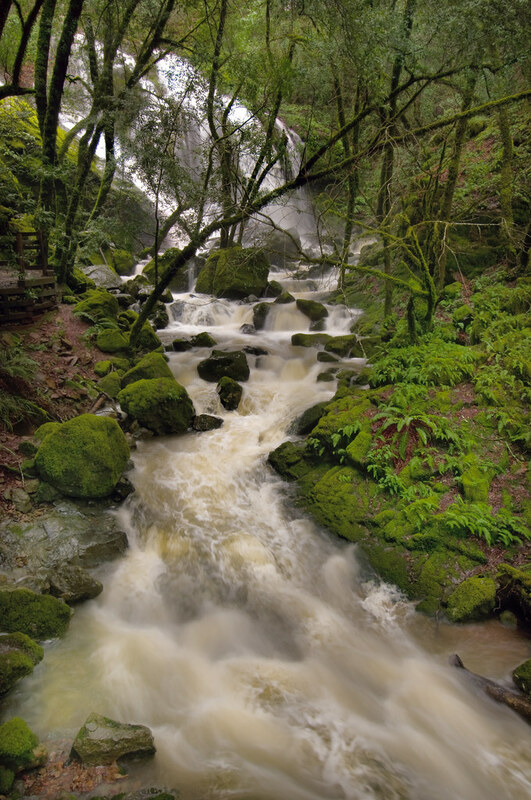 It’s raining again today, and the Bay area is full of falling water. So I’m glad I was able to get out during an intermission in the weather to Cataract Falls, a little bit of wilderness on the slopes of Mount Tamalpais. Cataract below Mt Tamalpais, photo by Harold Davis. View this image larger. There was a break today in the rainy weather that has hit the Bay area recently. I thought the waterfalls on the slopes of Mount Tamalpais would be running strongly, so I grabbed Julian and we hiked down to Cataract Falls. It was an adventure-filled journey, with wet crossings, a ranger to help to clear a blocked stream, and logs to clamber over. We had a great time, and it was good to get outside after days of cabin fever. 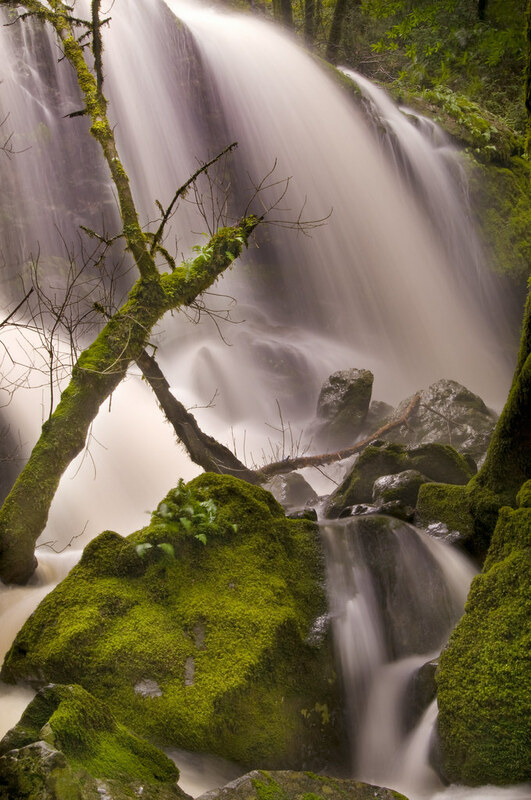 For this image of Cataract Falls, I bracketed shutter speeds, using a base exposure that was long enough to soften the water, and super-imposing a much shorter exposure that shows some of the frothy detail of the flowing water. Related image: Cataract Falls in February 2007. Why do I show my work on Flickr? There are a number of reasons, but they boil down to 1,496,603. Let me explain my affair with Flickr. When I started Photoblog 2.0 in May 2005, I made the decision to serve my photos out of Flickr. This means that the several thousand photos in my blog are sitting on Flickr’s servers, instead of my own server (where I could perfectly well have put them). In fact, my presence on Flickr has taken on a life of its own. My Flickr photostream is complementary and as important to me as my blog. According to Flickr (as of January 25, 2008) 1,496,603 people had paid visits to my photos. This is a huge number. It’s hard to see how else I could have exposed my photos to so many people. 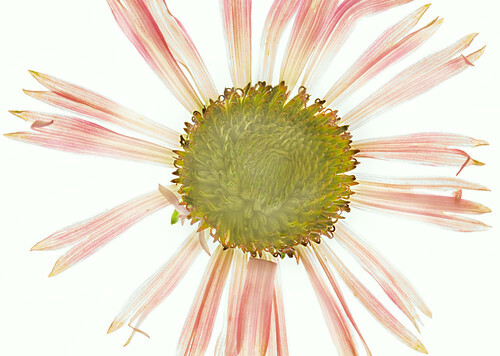 Besides that, the Flickr community of photographers are a great, creative, and supportive bunch. Here’s my profile on Flickr. Are there any downsides to using Flickr as an image server? Well, a couple. Flickr’s filters can add contrast and over-sharpen images, so with some photos I have to prep to counteract these effects the way I would with a specific printer. Essentially, I have a Flickr profile that I apply with some of the images I post to Flickr. Then, there’s the whole issue of putting my photos up on the web where anyone can grab them. True, photos can be “stolen” even when you host them yourself. But there seems to be a feeling in some circles that photos posted to Flickr are fair game. I’ve been careful to maintain the copyrighted status of my work on Flickr, and avoided the Creative Commons license that Flickr seems to advocate. Nonetheless, it is a safe bet that some of my photos have been copied without permission or payment in their low resolution Flickr versions. I view this “spoilage” as the price I pay for the extravagant exposure and virtual community I get on Flickr. Of course, sometimes the virtual Flickr community collides with my physical world, and I do meet Flickerites in some remote places. These meetings are a true pleasure! The summary version of this story is that I signed on to Flickr to get a free ride with organized image serving. This has worked pretty well, and the exposure of my work and the friends I’ve made has been a very nice bonus. In addition, in this day and age, photographers need to look to multiple revenue streams. The advertising revenue that a photo blog can bring is very welcome as one of these. My Flickr photostream and my photo blog are synergistic, with Flickr helping to bring people interested in my photos to my blog. At the same time, Flickr is an extension of my blog, where people can dialog about the photos, and use Flickr’s searching mechanisms. Besides the traffic, my photos on Flickr have caught the eye of many photo buyers who have subsequently licensed my photos. Tidepool Creature, photo by Harold Davis. View this image larger. 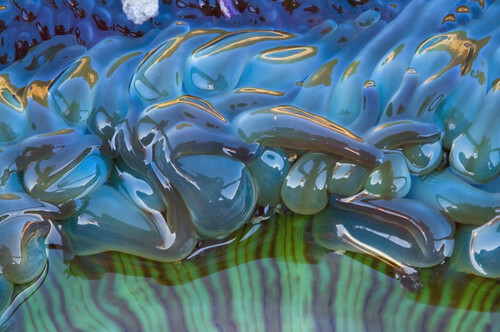 This is a close-up of a tidepool creature, taken the other day in James V Fitzgerald Marine Preserve near Moss Beach, California to the south of San Francisco. Perhaps the marine creature is a jellyfish? If you look closely you can see me and my tripod reflected in the tentacles. 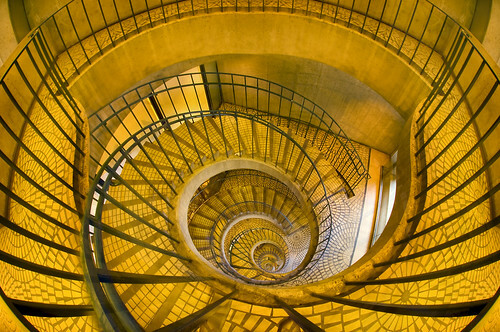 Resistance to Spirals Is Futile, photo by Harold Davis. View this image larger. 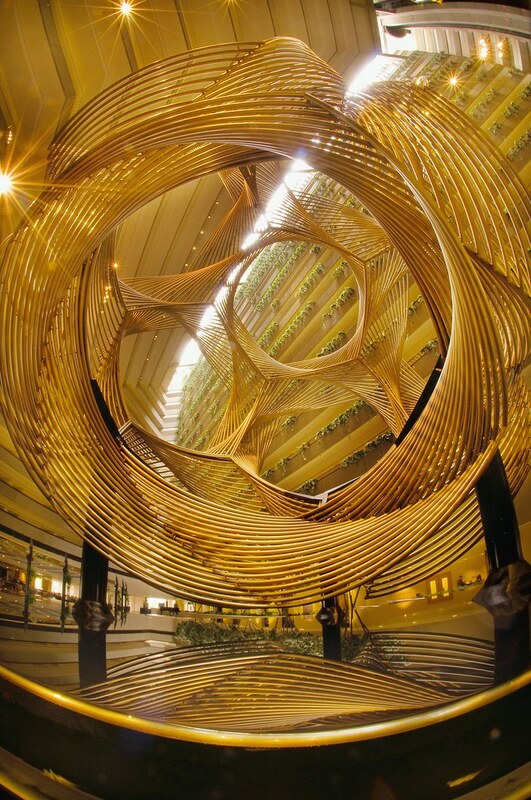 There’s something hypnotizing about spirals. Even when I start with a perfectly good “straight” photo of a spiral, I feel compelled to extend the spiral in Photoshop. I guess I may as well accept that resistance to spirals is futile. The compositing technique I used to make this image involved making both large and small copies of the original photo, pretty full explained in World without End. Related images: Endless Stair, Spirals (shell and stair), Spirals (shell composite). 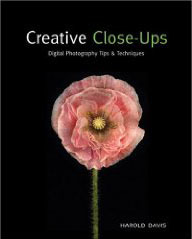 I’m really excited to have three photography books coming out in the next few months. These are very different books. 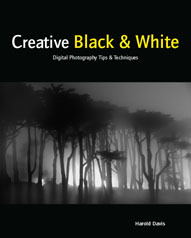 The commonality is that each of the three books is illustrated with my photos, and that I’ve written the text as well. Here’s a quick description of my books, along with the book covers. In the due fullness of time, I’ll be blogging a bit more about each title, as well as showing some excerpts. By the way, the titles are available for pre-order on Amazon (hint, hint!). 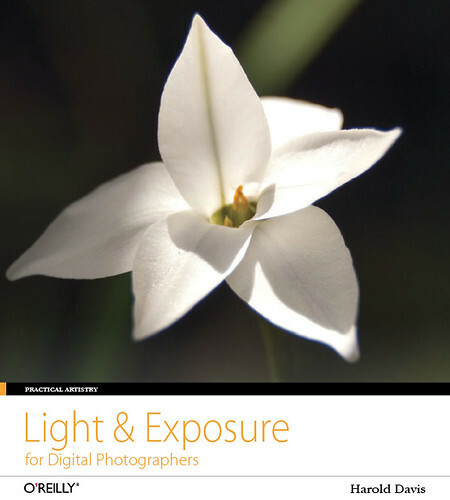 Light & Exposure for Digital Photographers published by O’Reilly Media is an illustrated technique book that shows the essential light and exposure principles needed to take great photographs. 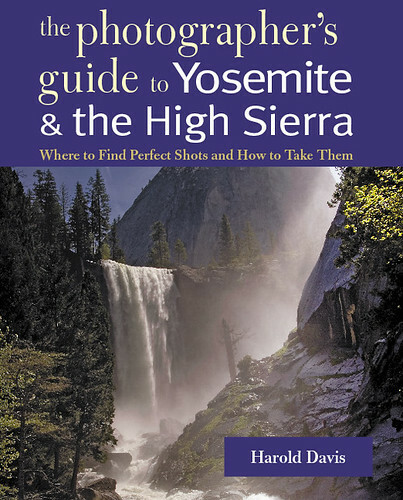 The Photographer’s Guide to Yosemite & the High Sierra is published by Countryman and distributed by WW Norton. 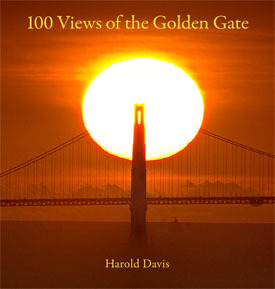 It is part travel guide for photographers, and part a display of photos of the grandeur of Yosemite. 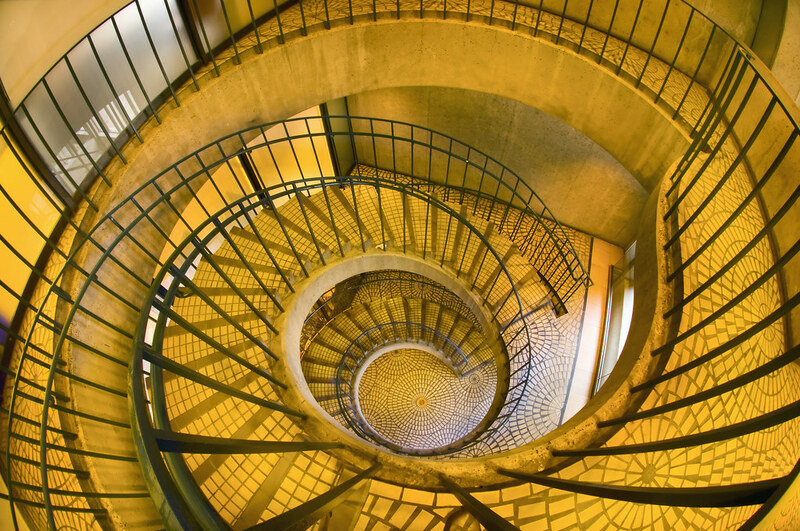 Stairs, photo by Harold Davis. View this image larger. Monday was a school vacation in honor of the great Martin Luther King. The weather was dark and stormy. 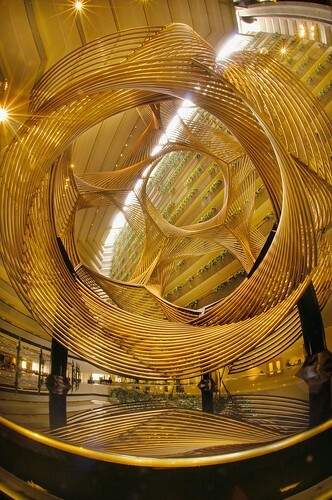 I took my older two boys, Julian and Nicky, into San Francisco to explore the (mostly interior) passages of the Hyatt atrium (below) and Embarcadero Center (above). Of course, I was multitasking, combining parenthood and Dad-dom with photography. My camera backpack and tripod were on my back. 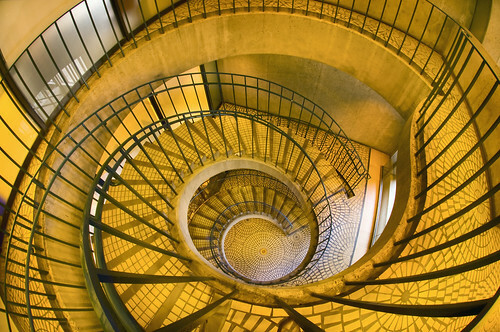 Like the last time I was in Embarcadero, I gravitated to the dingy spiral stairs in the dark nether regions of Embarcadero #2. (You can see some earlier versions towards the bottom of the linked story.) The stairs don’t look dark in the photo above, but they were only dimly lit on this very gray day. Amazing how this low-light subject brightens up in the face of a long digital exposure! 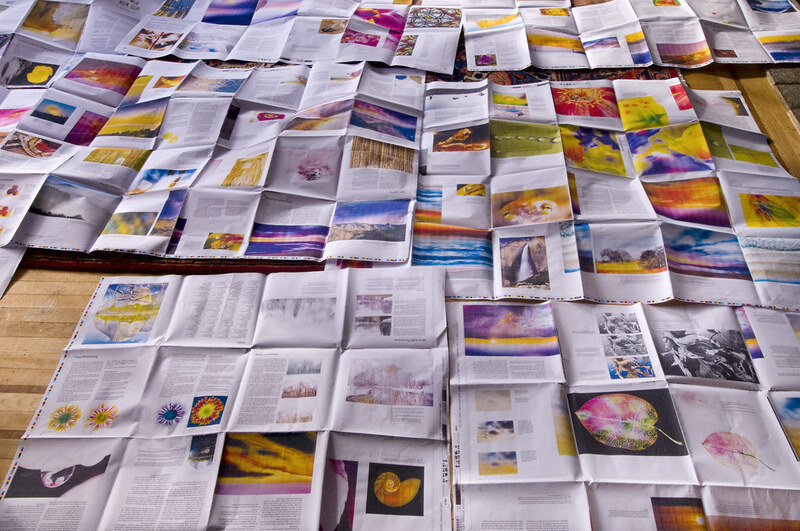 Book Imposition, photo by Harold Davis. View this image larger. 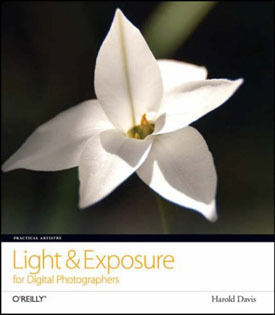 This photo shows imposition proofs for my Light & Exposure for Digital Photographers. The book is due out in the next few months, published by O’Reilly, and is being printed in Italy. In the photo, these large proof sheets are laid out on our living room floor. Each of the large sheets of paper represents a signature of 16 or 24 pages that will be bound into the final, printed book. This kind of proof is about how the pages will be ordered on press, and definitely not about color reproduction (there are other kinds of proofs that deal with color). When imposition proofs are done right (as these are), they show the printer has thought carefully about how the pages will be printed on press because images with strong color bias are located in “columns” on the same press form (each form represented by an imposition proof sheet). Dennis Fitzgerald is the Production Editor at O’Reilly. Dennis was kind enough to bring these imposition proofs over last night in foul weather, and to be carefully and meticulously sheparding the book through the shoals of production. Capillarity in Green, photo by Harold Davis. View this image larger. 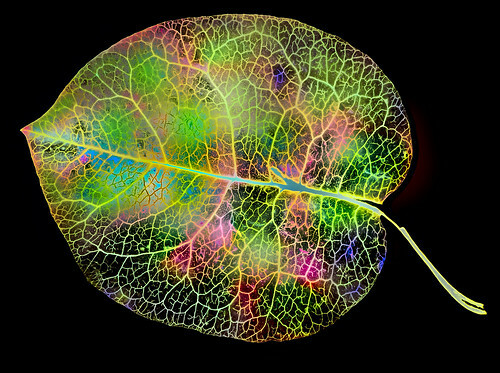 This is a greener version of Capillarity, shown in an earlier post on black and on white. OK. I’m going to give the punch line away. I love my new Nikon D300. I love this camera with a passion that rivals that of my feelings for some film cameras in the days of yore like my Leicas, my Nikon FM2, and my large format Deardorf. This is the first digital Single Lens Reflex (dSLR) that I’ve used that approaches what a dSLR should be, and maybe even the Platonic ideal of a dSLR. This is definitely not the “Chef of the Past” or your father’s camera. The D300 gives a pretty good sense of what digital cameras for serious prosumers are likely to be in the future. If you want, you can buy your Nikon D300 from B&H Photo. Leaving passion and infatuation out of things for a moment–hard to do, since for us photographers our feelings for our gear always involve strong emotions–the improvements in the D300 compared to the previous model (the D200) are mostly incremental rather than revolutionary. The camera still has some serious drawbacks, or at least presents issues that are somewhere on that ever present feature-bug line. For example, informed and well-intentioned photographers will reach differing conclusions about the sensor, which is smaller than a 35mm frame in a ratio of 1.5 to 1 (more on this issue later). And the D300 form factor is a behemoth. If you don’t have the committment to schlepp a heavy piece of gear around, this isn’t the camera for you (and more power to you). My assumption is that I’m writing this review largely for people who already own Nikon dSLR equipment. I’m studiously neutral in the Canon-Nikon debates. Both brands are good. And both companies operate on the razor blade model: the real cost comes when you buy the lenses, which lock you into a system. So if you already own a Nikon dSLR like the D80 or the D200, the D300 will feel very familiar right out of the box. The sensor (more accurately, the low pass filter in front of the sensor) can be cleaned using a microwave mechanism. This has been a huge issue for me with my previous Nikon dSLRs, considering the gritty field conditions I often work in, and my propensity for stopped down my lenses (which shows sensor dirt more than with the lens wide open). So far, this feature seems to work well, and I have it set to clean my sensor each time the camera starts up. You can set the camera so that the mirror goes up and the photo you are about to make is displayed in advance on the LCD screen. This is very cool, and useful in a number of situations including (for example) tight macros and grab shots above a crowd. This camera shows far less noise than previous models, even at fairly high ISOs. Exposures over 30 seconds will generate plenty of noise, but it’s hard to create a noise-filled image in normal conditions, no matter how high you boost the ISO. Given the increased quality of high ISO images, in many situations I’d opt for boosting the ISO rather than using flash. Rubber connection covers (for the remote control, for example) are attached to the camera, not loose caps which inevitably get lost. The shutter makes such a wonderful, solid thunking noise when you make a capture. You’ve got to love the audio effects on this camera! I think that the only real carping you could do about the Nikon D300 has to with the sensor size. Like all of Nikon’s DSLR offerings up to now, this sensor is smaller than 35mm in a ratio of 1.5 to 1. This means that lenses bring subjects closer than you’d expect compared to a similarly designated lens on a 35mm camera, although there are anomalies related to how particular lenses play on specific cameras. My 200mm f/4 macro lens produces a very different angle of view than the 200mm setting on the more recent 18-200mm VR zoom lens (go figure!). In general, having a sensor that is a bit smaller than the 35mm comparison size is good for telephoto lenses (they get more telephoto), but not so good for wide angle lenses (they don’t stay as wide angle). Since Nikon has just introduced its first full sensor frame model (the D3, which costs several thousand dollars more than the already not inexpensive D300), it’s worth having a further look at this issue. To digress for a moment, my Dad, a professional logician, has strenously objected the the phrase “true fact” on the grounds that all facts are by definition true. Anyhow, I’ve gone a bit far afield. Here’s my last word (for now): At first I thought the D300 was what the D200 ought to have been. That’s true. But now I think that the D300 moves closer to what a dSLR, with the emphasis on digital, ought to be–and shows the likely direction of DSLR cameras of the future. Existential Escalators, photo by Harold Davis. View this image larger. But did I listen? No. 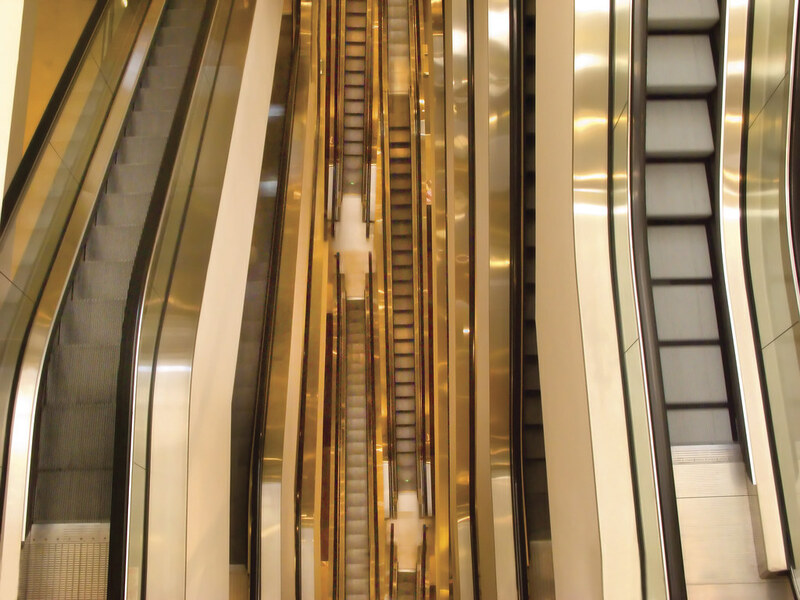 The lure of the existential escalators was inevitable. And now I travel up and down forever, trapped, a ghost in the machine, the flying-Dutch-person of the moving stairs. Related images: Endless Doors (World without End), Endless Stair.